Our office is filled with “high tech” equipment that helps us diagnose and treat eye diseases. It’s hard to imagine now taking care of patients without it. But sometimes there are “low tech” solutions to common eye problems. One such problem is how our glasses constantly slide down our noses as we go through the day. Tightening the frame behind our ears helps, but often creates sore spots. We’ve found a much better solution called Nerd Wax. 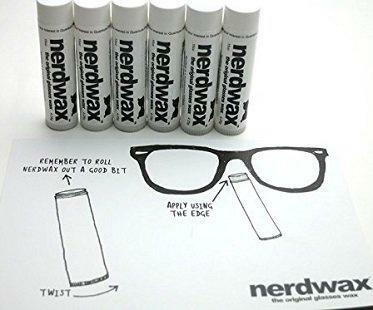 We simply apply the Nerd Wax to our glasses where they touch our nose, and they don’t slide down the rest of the day. Nerd Wax is made from natural ingredients and is non-toxic. and we will apply some to your glasses.